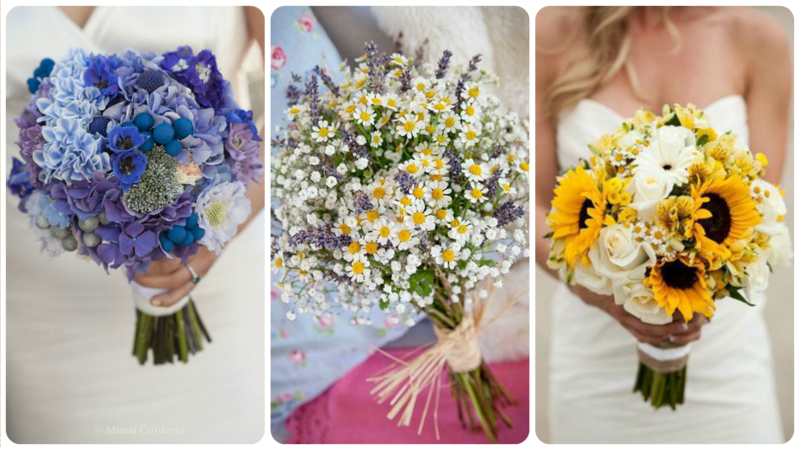 The flowers that you choose for your wedding day are very important. Because it is not the same to carry a bouquet of roses as one of sunflowers. 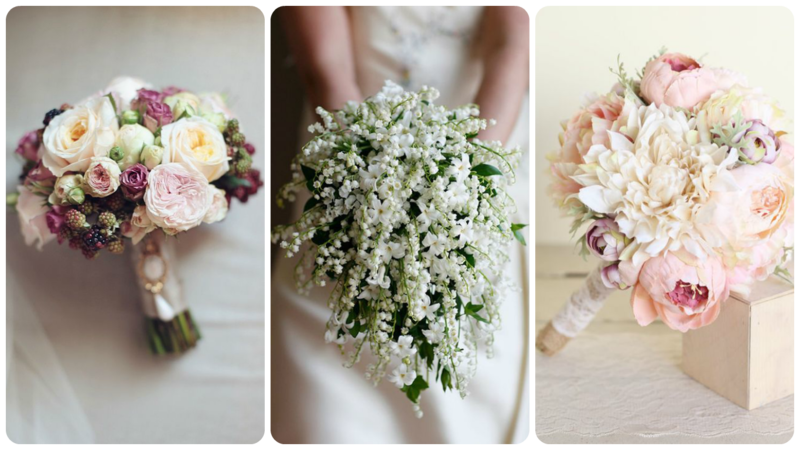 Because flowers say a lot about a person and every wedding style has a type of flower. For example, roses. Roses, especially red ones, symbolize passion and love. They are synonymous of romanticism and in this same line they emphasize the buttercups, gladiolus or the chocolate flower. The lily of the valley, also of classic style, evokes delicacy and tradition. Many of the royal brides, like Kate Middleton, chose it for their big day. Or peonies, other traditional flowers for weddings. They symbolize sincerity and with their pastel tones they give a very vintage and romantic air to the celebration. The hydrangeas are very fashionable. They are simple and elegant at the same time, for casual weddings. Also the daisies, simple, innocent, unconcerned. Or the sunflowers, of rustic and natural cut. For these rustic weddings that are so fashionable now. Also go very well with the daffodils or heather to complete the decoration. In front of them, emerge the poppies with their bright colors. 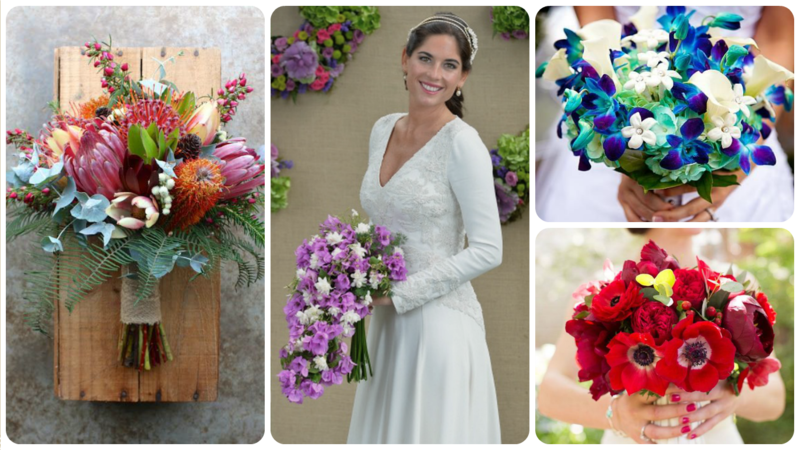 A bouquet like this denotes pleasure and unconcern and is perfect for bohemian weddings. And for very daring brides highlights the protea, with their pointy petals. It is unconventional and symbolizes a bit of diversity with a nod to modernity. Orchids, for their part, are extravagant. Fantastic for fun brides, able to combine their deep colors. Of this same style are the bougainvilleas, like the ones that took in its bouquet with form of waterfall Lourdes Montes the day of her wedding with Francisco Rivera. Violets, jasmine, orange blossoms, gerberas… There are so many options! Which one is yours?